Hair coloring or henna design- both involves a time-consuming process and our professionals take that extra care to ensure every shaft of your hair reflects the rich hue. 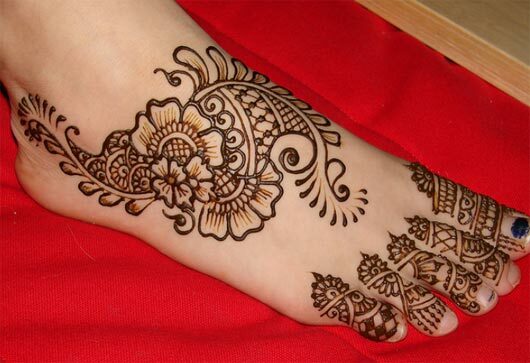 The henna specialists, on the other hand, based on your needs and keeping in mind the occasion, does some brilliant henna artwork on your hand. Take proper care of your colored hair with the best tips and the step-by-step guidance offered by our specialists. Your hair can not only sport the best color, but retain the luster and shine, seamlessly! Decking up your hands with intricate mehndi design can be a lovely experience and we vouch to make it a satisfactory affair for you! We, at Naaz Beauty Salon, are backed with a team of creative professionals, who does an exceptional job with the henna cones while drafting delicate Mehndi designs. The creativity of the professionals range from depicting the traditional Arabic design to the contemporary, funky pattern where a dash of glitters, semi-precious stones are added. The floral patterns and the leafy motifs are a huge hit among our clients spread across Melbourne suburbs for weddings and engagement ceremonies. The quirky tattoo via the henna art is also very much in vogue. So whether it is a weekend party where you paint your nape in an eye-grabbing way or your sister’s wedding ceremony, we can deck up your hands in a stunning and visually appealing way. We have clients from Forest Hill to Chadstone. You can choose from our rich catalogue showcasing eye-catching designs or talk to our experts for good advice. We are in the continuous process of growth and development based in Melbourne with our services reaching to its suburbs. We thank our exhaustive list of clientele who keep on making recurring visits for availing our beautifying solutions and skincare treatments. I wanted to stand out from the crowd in my best friend’s wedding and the magic that you weaved with the henna cones, just blew me out! It was a lovely design! Great job done! - Bhavna.